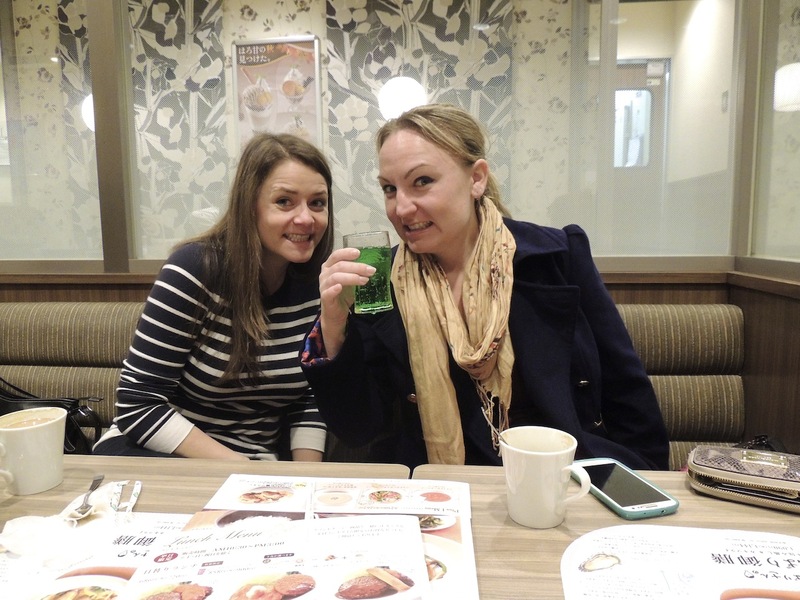 My Japanese Culinary Adventure – These Two Eyes! When asked the purpose of my recent trip to Japan my reply was simple, “I’m going there to eat.” And it was true. But never would I have anticipated not only the variety, but also the regularity of how often I would consume local foods. From tiny baitfish over rice for lunch to curry katsu for breakfast and never enough diafuku in between, here is a brief, or actually a quite long-winded journey through my Japanese culinary adventure. After an exhausting journey Holly and I were finally in Tokyo. Forget showers and freshening up, we wanted to hit the town immediately but first we needed to satisfy the grumble in our stomachs. This would be our first attempt at socializing in a new culture so identifying the right place for our first meal was a bit intimidating. 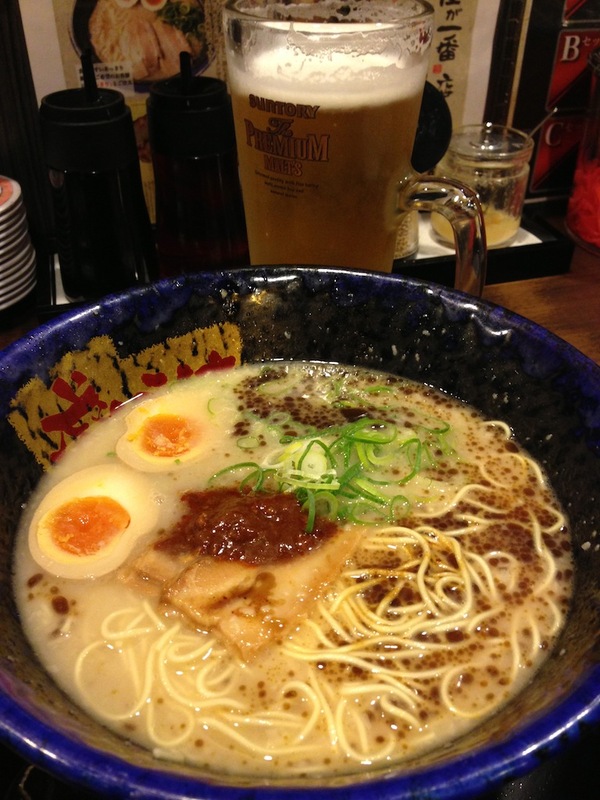 We ended up at a small ramen shop in Shinjuku. The options were simple, ramen or ramen and you paid first by vending machine, but of course we didn’t realize that until we asked for the bill. 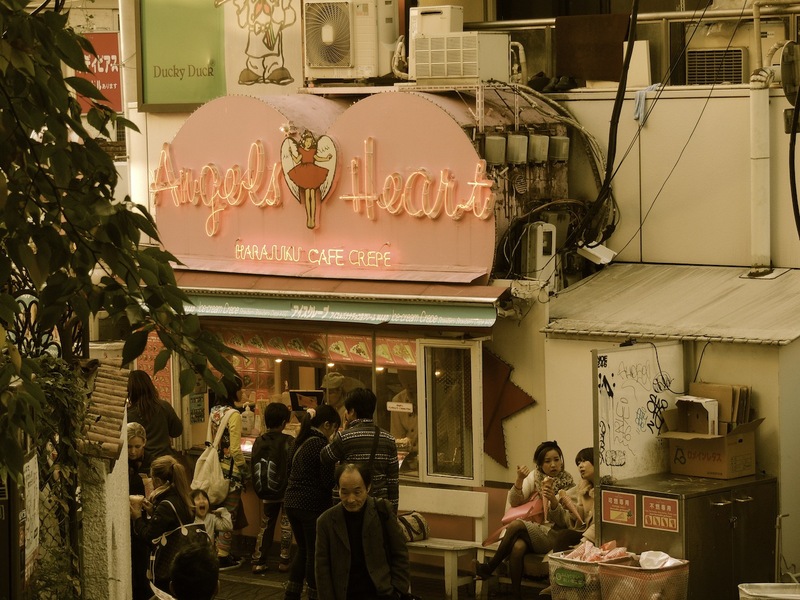 There are vending machines on nearly every street corner serving all purposes. We moved hotels the next morning and Holly tried her hand at some vending machine Boss Coffee, sponsored by Tommy Lee Jones of course and it even came out hot. Further along on our trip we even stumbled across a beer vending machine. So cool. After a while we began to spot the machines that were only 100 yen, the cheapest it comes. Later that evening while waiting for Jaime to arrive, we found a small bar and nibbled on cold, salted edamame and tried our hand at some local Asahi beer and wine. Once Jaime arrived we ducked into the first yakitori shop we could find. We ordered the assortment and some sake. The ‘assortment’ didn’t go down so well however, there were some dubious meats and textures on the skewers and we were questioning the plausibility that we were actually eating heart. One of Tokyo’s must do’s is to visit the Tsukiji Fish Market. If you’re not brave enough to attempt being one of the 120 they allow in at 5 am to witness the live tuna auction, you can wander the outside market before tasting sushi caught fresh that very day. We made it to the market a bit late, but that didn’t stop us from trying a range of the days finest in one of the small ten seat sushi bars adjacent. It was a bit of gamble on how we split the serves however. After Holly and I popped a small orange fish roe ball into our mouths as a test and both declared it awful, we dared Jaime and she took one for the team and ate the whopping whole thing. Yuck! Holly also had bad luck with a rubbery white fish that took about 5 minutes to chew and swallow, followed by onion sushi that left her breath less than desirable. Somehow I lucked out with fresh salmon, unagi and other varieties. We then spent the afternoon walking around Hama Rikyu Gardens and had our first traditional tea ceremony experience in Matsu-no-ochaya teahouse. After taking our shoes off before entering the wooden building, we read the directions provided carefully, remembering to bow after being served. Cross-legged on the tatami mats, we overlooked the beautiful lake, a bit hung over yet the whole experience including drinking the green tea in three big gulps made me feel very zen. Following on we visited Senso-ji Shrine, one of my favorite spots of the trip and fumbled in the dark in Asakusa to find a highly recommended tempura restaurant, as this area of Tokyo is known for its tempura. Lightly fried, not overly greasy prawns accompanied by rice, cabbage and of course some wine, we had our first meal on traditional tatami mats while studying our Lonely Planet books on how to spend the evening. 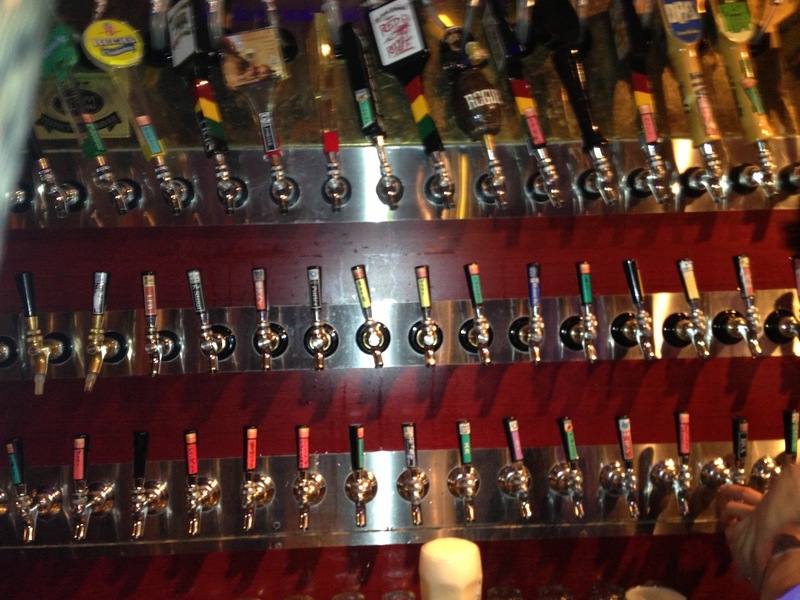 We ended up at Popeye’s, a craft beer lover’s haven, which houses over 120 beers on tap. Yes, all on tap! It was quite impressive, as the craft beer scene in Japan is growing and I tried everything from Japanese stouts, porters, IBAs and winter ale to my first pumpkin beer of the year, albeit it was Rogues. The next day while on a day trip to Kamakura, a small town an hour outside of Tokyo, we lunched at recommended Bowls Café. Cheap and clean with affordably priced donburi lunch specials, I started with octopus and miso soup before divulging into my rice bowl topped with fresh raw tuna. But boy did Holly get a surprise. What looked like little bean sprouts on the top of her rice bowl was far from her assumption. At closer look, each individual little white stem actually seemed to have tiny eyes! Yes, she was served a heaping amount of the local delicacy baitfish atop her rice. We all took a few bites but unfortunately no one could get the whole dish down. On my personal list of dining adventures was to visit one of the izakaya’s housed under the Yamanote Station tracks. We met up with Crystal, former Mountbatten alumni and colleague of Jaime who is currently living in Tokyo. She took us to Andy’s Izakaya, a traditional Japanese pub full of salary men, cigarette smoke and a surplus of food. We ordered enough to share and it seemed as if it wouldn’t stop coming; tempura, scallops, mushrooms, udon and it went on. Crystal also introduced us to shochu; similar to vodka, it’s a clear distilled liquor fermented from potatoes typically mixed with cold green tea. We were off to colorful Harjuku by mid-day the next afternoon and hadn’t even had a snack. Luckily busy Takeshita Street is lined with crepe shops from sweet to savory and it was the perfect treat to hold us over until dinner. 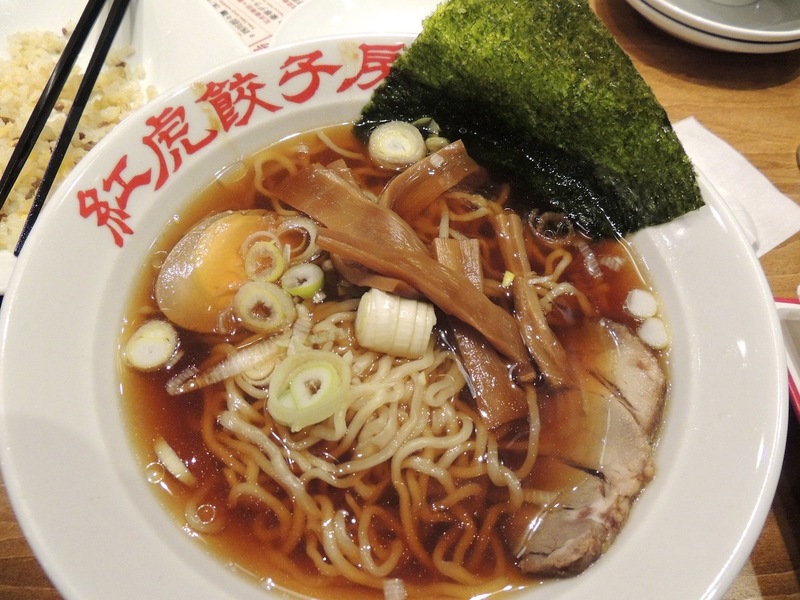 Nestled in the basement of Tokyo Station is Ramen Street, with shop after shop of ramen establishments. Although I was a bit unimpressed, we stopped for lunch the next morning for some traditional ramen. Later on that day after exploring the grounds of the Imperial Palace we stopped at Jonathan’s, a small diner to regroup for the evening. Jaime had some Fanta, and it was green! That evening was a highlight. We met up with Crystal again in the Ebisu neighborhood. Slowly walking down the street she had us quickly duck into what just looked like a simple storefront. Once inside the food hall it was a bazaar of little stalls, one after the other with a maximum of 6 seats at each, specializing in a different dish. It was called Ebisu Yokocho. We found a small little place where we could cook meat over the grill in the center of the table. On the menu was everything from pig tongue to heart to loin and neck however we kept it simple with some chorizo, skirt, pork and salads. It was delicious and somewhere we never would have stumbled across without the help of our expat friend. The next morning we made the five hour journey to Takayama, a small town in the Japanese Alps who specialize in two amazing things to consume: hida beef and sake. Hida is one of the best grades of beef from the Hida District and can be served as steak, yakiniku, sukiyaki, or shabu shabu. It’s absolutely delicious. Takayama’s old town is lined with sake breweries and you can actually taste the difference of the quality, as the regions cool climate makes it ideal. 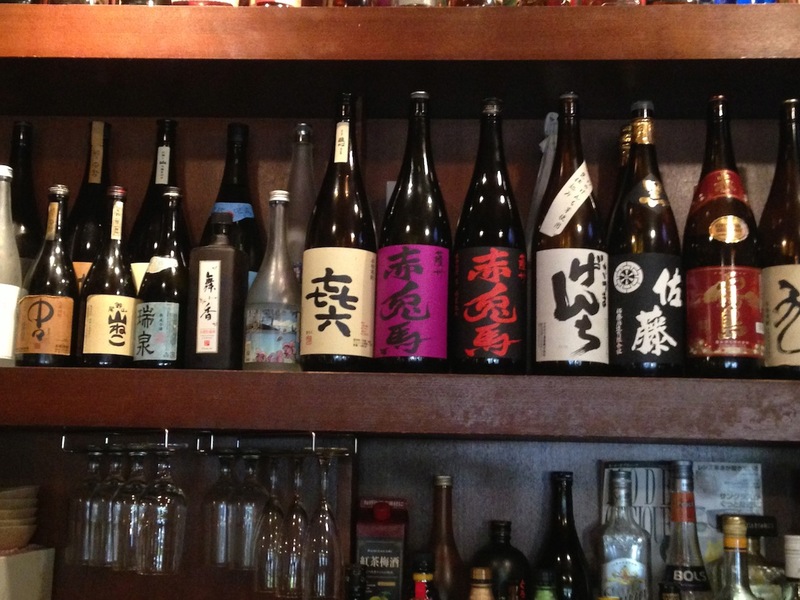 We stopped in Niki Shuzo Sake Brewery and tried everything from the local favorite to a seasonal specialty. Soba is another Takayama specialty, specifically when hida beef is added to it. Kyoyo is a lovely, dark restaurant with friendly staff from a local family. I ordered the hida soba of course while Jaime tried the cold soba (buckwheat noodles dipped in broth). To start I ordered houba miso, a local delicacy of miso with shitake and leek grilled on a magnolia leaf. We followed it with some tofu topped with miso and finally crab legs grilled by the owner’s mother right in front of us. During the day we couldn’t stop snacking. Every roadside stand we passed one of us would rush for fried hida beef dough balls, pork buns or croquettes. Our final meal in Takayama was at Tengu, a small ten seat curry restaurant and that’s is all they serve. The hida beef curry melted in my mouth like butter. There was no fat and just the right amount of spice. I’m still thinking about it. Slurp, slurp, snot, snot, slurp. The louder you slurp or burb, the more appreciative of how good the meal is. This is what I listened to while sat in a small udon shop in Kyoto’s Higashiyama neighborhood sampling prawn tempura udon. As we continued to walk throughout the day we were constantly surrounded by food. Jaime snatched up takoyaki, or fried octopus balls while Holly grabbed some candied fruit. That evening at Finlandia Bar the girls tried some local cocktails while I learned to appreciate different Japanese beers. 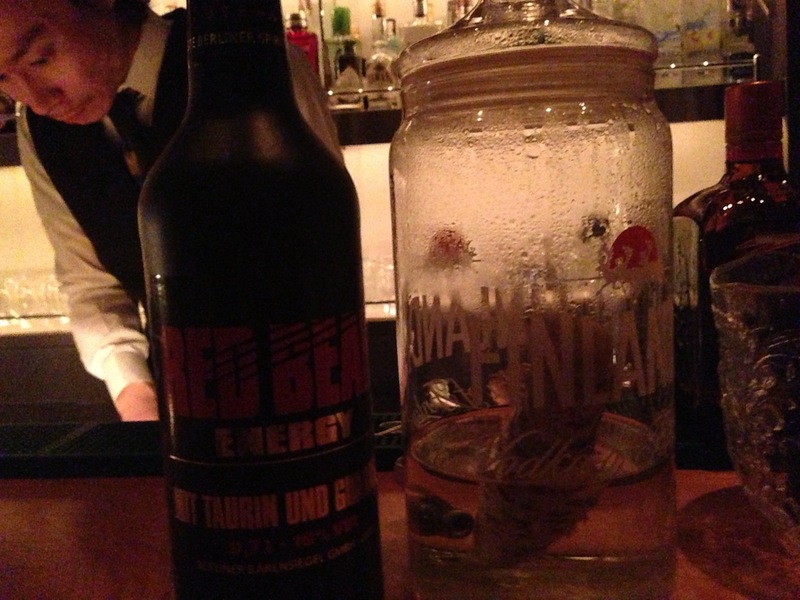 They didn’t serve Red Bull, but they did Red Bear, vodka flavored to taste just like Red Bull. Jaime had the waiter serve up his favorite concoction which consisted of a wasabi liquor yet was quite refreshing with ginger ale. The dimly lit bar was a great place to stop off in Gion, Kyoto’s geisha district and the bartender was very friendly and spoke excellent English, recommending to Jaime which Japanese whisky to try next and offered us some dinner suggestions. After meeting the brew master of Pabst Blue Ribbon China at an Irish pub, he recommended the best sushi restaurant in Kyoto, Kappa Sushi by Mayuzumi Group. Located in our favorite Kyoto neighborhood of Pontocho, it had been days since we’ve actually had sushi. How was that possible? We ordered from an extensive menu of fresh fish, each to our own taste. The fatty tuna was praised and I have to agree it was by far the best I’ve ever had. Yet, when Holly and I ordered the mozuku seaweed with vinegar it was far from what we expected. Slimy, snot like texture of green ooze we both slurped it up, laughing as it dribbled from our mouths. I must admit it did taste good though. At this point we felt oddly healthy, yet bloated. We blamed it on all the salt we consumed daily. On a day trip to Nara we feared the end of our trip was approaching and still had some food items on our agenda we’ve yet to try. I finally got myself the green tea ice cream all the kids were eating. After a day of petting wild deer and visiting temples we desperately scouted for a place to eat gyoza, or Japanese dumplings. Finally we found a small diner-like eatery where we each got our own personal large serve of gyoza, kimchi, spring rolls and noodles. Curry katsu for breakfast wasn’t initially what I was craving the next morning but boy oh boy was it tasty. Fried pork cutlets in a brown gravy sauce over rice, it was awesome. Holly had croquettes for the 5th day in a row. 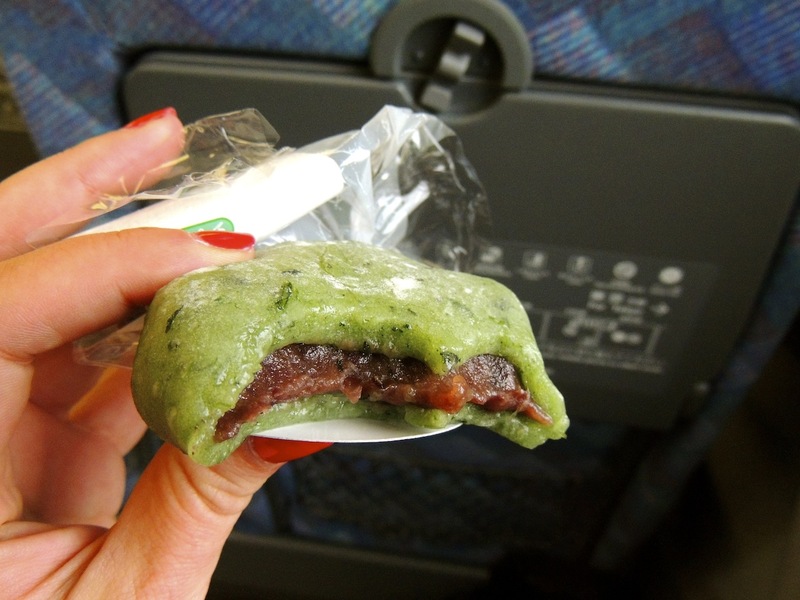 We moved on to Hiroshima and as part of our daily tradition stocked up on diafuku for the journey, a Japanese sweet of red bean in a doughy round rice cake. After arriving we scouted out an okonomiyaki eatery – a savory egg and noodle pancake. We stumbled upon an okonmiyaki food hall, with little stalls next to stalls all grilling the dish either with Chinese or udon noodles fresh in front of you while you waited. The serves were enormous but somehow we ended up eating it all. That night we took the ferry over to the quiet, serene island of Miyajima. We stayed at a lovely guesthouse that served us an amazing 8-course meal, while tranquil music played in the background. This was our Thanksgiving feast. Fresh oysters, sashimi, fried fish, soup, and green tea ice cream for dessert…it went on. Before leaving we stopped off for more oysters, a delicacy in Hiroshima where we ate them fried in curry after they were cooked fresh on the street corner. Accompanied by a local Miyajima beer it was the perfect way to end our last stop on our culinary journey. 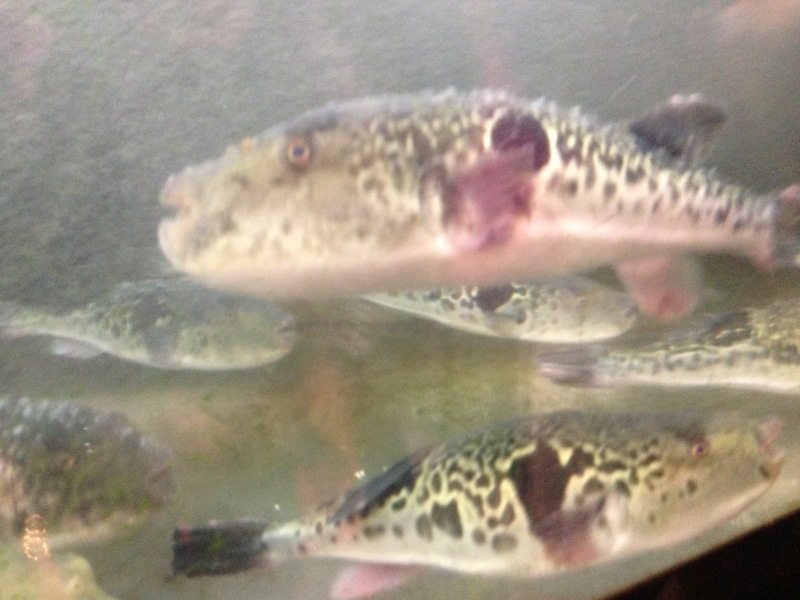 One thing we never go to try though was blowfish. Interestingly we learned that the majority of people who die of its poison aren’t at restaurants but from inexperienced cooks at home. It’s been less then fours days since I’ve returned from Japan and nearly dinnertime. Luckily for me a new Japanese restaurant recently opened up down the street and I just ordered some curry katsu to satisfy my cravings. Love it! Now I want sushi, tempura and noodles…hahaha!